Distinguished as a maternal child health care professional, Judy Canahuati has been an invaluable expert and technical adviser to the U.S. Agency for International Development (USAID) Food for Peace initiative since 2004. In her role, Ms. Canahuati works with the organization to address the nutritional needs of young children in countries in need like Honduras, with a series of innovative ready-to-use nutritional supplements. She finds it extremely rewarding to help families give their babies the best start they can in life. Since 1973, Ms. Canahuati has been a La Leche League Leader, a group she previously served as a senior nutrition and maternal child health adviser and lactation consultant. She also garnered experience in a variety of other related positions, including senior nutrition adviser at CARE USA in Atlanta, project director of La Leche League International, technical adviser to USAID in Tegucigalpa in Mexico, and instructor at the University Nacional Honduras. Additionally, Ms. Canahuati was a consultant at the Centro de Apoyo a la Lactancia Materna in San Salvador, researcher at the Institute of Reproductive Health at Georgetown University, consultant at Wellstart International, director of the project to improve basic education at the World Bank in Honduras, and superintendent as Escuela Internacional Sampedrana in Honduras. Other notable career moments include managing the Food Aid Quality Review” with Tufts University at USAID for seven years and establishing the Judy Canahuati Breastfeeding Room at CARE USA in Atlanta. Initially, Ms. Canahuati became involved in her profession after having her first child and learning that breastfeeding was a learned skill. She received support from the La Leche League in the U.S. despite the fact that she lived in Honduras, and, once she learned the basics, she decided she wanted to give back. She took advantage of all of the training available at the time, and when the USAID decided to support a national breastfeeding training program in Honduras, she was one of the only people in the country with breastfeeding counseling and support skills. Ms. Canahuati is certified by the International Board of Certified Lactation Consultants, and holds a Bachelor of Arts from the University of Pennsylvania in and a Master of Philosophy in anthropology from Columbia University. To ensure she remains connected to her community, Ms. Canahuati has affiliated with numerous organizations, including the Consumer’s Education and Protective Association, the International Lactation Consultant Association, La Leche Leage International, the World Alliance for Breastfeeding Action, the Phi Beta Kappa Society, and the American Society of Nutrition. She also connects with her peers through her writing. With her expertise in the field, Ms. Canahuati co-authored “Community-Based Breastfeeding Support: A Planning Manual” in 1996, and co-produced the video “Investing in the Future: Women, Work, and Breastfeeding” in 1995. She also contributes articles to professional journals. In recognition of her dedication to her profession, Ms. Canahuati has received fellowships from the National Science Foundation, the National Institute of Mental Health, and the Public Health Institute. She also received the Dory Storms Child Survival Recognition Award from CORE in 2017, the Albert Nelson Marquis Lifetime Achievement Award, and the Distinguished Worldwide Humanitarian Award. 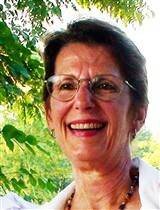 She is a featured member in Who’s Who in America, Who’s Who in Medicine and Healthcare, Who’s Who in the World, and Who’s Who of American Women. In her spare time, Ms. Canahuati enjoys reading, writing, and aerobic exercise.